Jacobson J has found that Bluescope’s “Smartascreen” metal fencing panel infringed Gram Engineering’s Registered Design No. AU 121344 for a fencing panel as an obvious imitation. Perhaps the most interesting finding, however, is why the Smartascreen was not a fraudulent imitation. Gram’s design was registered in 1994, so this is an “old Act” case (invalidity here and infringement here). At the time, it was the first fence panel to feature a symmetrical design: looking the same no matter which side of the fence it was viewed from and, as a result, it was a roaring success capturing some 40% of the market. One interesting aspect of the case is that Bluescope’s Smartascreen product was introduced in 2002. Although Gram Engineering knew about it from around its introduction, it did not commence infringement proceedings until 2011 – after the registered design had expired in 2010. Bluescope’s attack on validity failed. First, the prior art on which Bluescope relied were for roofing or siding panels, not fence panels, and so not relevant articles. 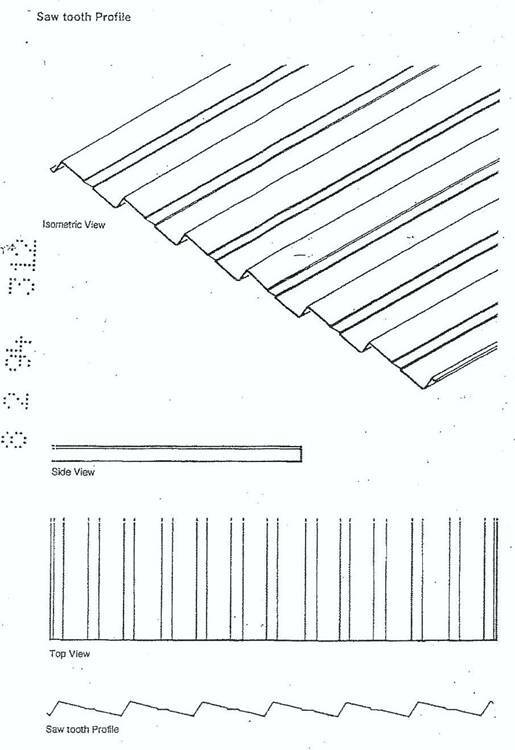 Moreover, the prior art and the registered design had the same general “z-shape”, but were intended to be used horizontally (“weatherboarding) rather than vertically and none had the same combination of 6 panels with the same proportions and angles as the registered design. Hence, while some features may have been present in some of the prior art, none of the prior art included all the features and the registered design looked distinctively different. Jacobson J then found that the Smartascreen was an obvious imitation: the dominant feature was the same sawtooth look with the (unique) 6 panel frame in the same proportions and with the same angle. and had adopted a standard panel size of 762mm (which matched Gram’s physical embodiement) instead of the more typical 820mm panel size. 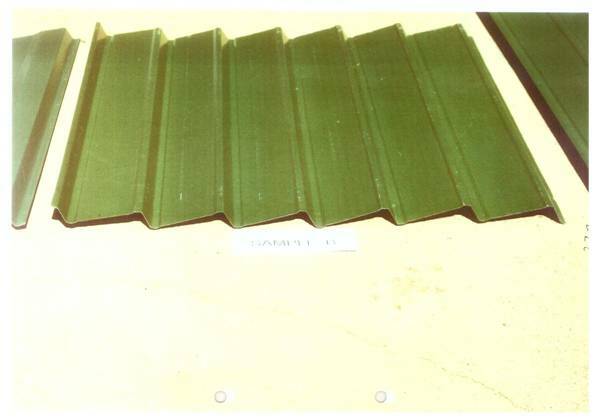 In these circumstances and given his Honour’s finding of striking similarity, Gram Engineering argued it was inconceivable Bluescope had not copied Gram’s design and so a finding of fraudulent imitation should follow. It is a conclusion which I have reached with some reservation because the striking similarities to which I referred above were not satisfactorily explained in Bluescope’s evidence. I have no doubt that the drawing of 17 November 2000 was designed to look something like the Gram product. It was, as Gram submitted, designed with an eye to the GramLine sheet. However, it is plain that Mr Field was involved in the process. This appears from the concluding remarks of his memo of 15 November 2000. Ultimately, it is his absence from the witness box which precludes me from reaching the view that the process of designing a Gram lookalike was one which entailed copying the Gram design. The Mr Field in question was unable to give evidence at this stage in view of his advanced age (being retired) and illness. If his Honour had been prepared otherwise to find fraudulent imitation, however, the fact that it had obtained advice that its product did not infringe the registered design would not have saved it. The test for validity in Designs Act 1906 s 17(1) here and infringement, s 30, here. ? “…. The kind of fraud that the Act seeks to remedy is closer in kind to, but is still not entirely analogous with, equitable fraud, which, for its establishment, does not require that an actual intention to cheat must always be proved; proof of misconception of the extent of a person’s obligation, to act or to refrain from acting in a particular way, may suffice”. ? Foster J has ruled that Bitech’s patent for an apparatus that simulates log flames or coal fire in electric or gas fired domestic room heaters is valid, but not infringed. 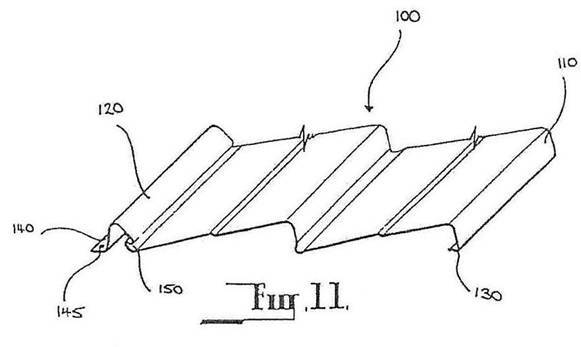 An essential feature of the patent was that the simulated flames resulted from reflected light, however, the alleged infringements used directly projected light, not reflected light and consequently did not infringe. The novelty attack failed because the relevant prior art did not possess all the features claimed. The attack on obviousness failed because s 7(3) was not available – the complete specification was filed before the 1990 Act came into force and so the Alphapharm rules were all that was relevant. Of potentially greater interest, if there had been infringement, Foster J would have found the importer and retailer (Bunnings) were engaged in a common design. Somewhat bizarrely, on of the respondents denied it had imported the allegedly infringing products, but led no evidence on the point. As a result, Foster J has foreshadowed some consequences in costs for putting the applicant to proof on this point. in Review v New Cover  FCA 1589; valid and infringed including $85,000 damages (of which $50,000 were for additional damages).